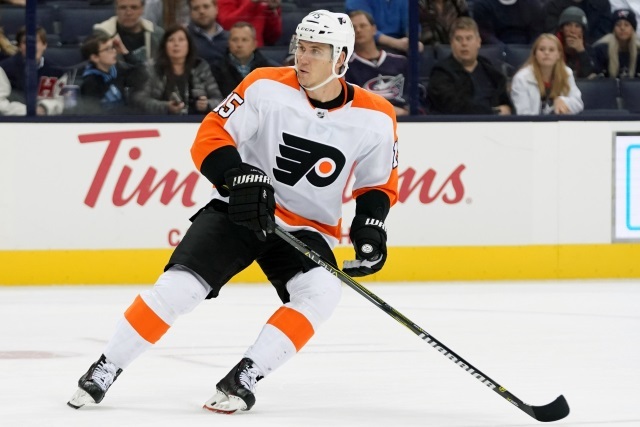 John Boruk: The Philadelphia Flyers have put forward Jori Lehtera on waivers. Lethera is in the final season of his three-year deal that carries a $4.7 million salary cap hit. The Nashville Predators re-acquiring forward Cody McLeod from the New York Rangers for a 2020 7th round pick. The Ottawa Senators have traded forward Jean-Christophe Beaudin to the Colorado Avalanche for forward Max McCormick. He carries a $765,000 cap hit. The 21-year old Beaudin was drafted 71st overall in the 3rd round of the 2015 draft by the Avalanche. The 26-year old McCormick was drafted 171st overall in the 6th round of the 2011 draft by the Senators. He carries a $650,000 cap hit.